Oral B bringing connected tooth brushes to us all! The Internet of Things is here, and it is slowly taking over our life one by one. Not all of it is useful though, but a lot of it undoubtedly is. Fitness and health have become a natural part of the whole IoT revolution, and it comes as no surprise that Oral B are announcing a tooth brush that jumps on the same band wagon. While not connected by WiFi to the internet, it connects itself to your smart phone via Bluetooth, letting you analyse and study your tooth brushing habits as well as hopefully improve them for a healthier gum and teeth experience. 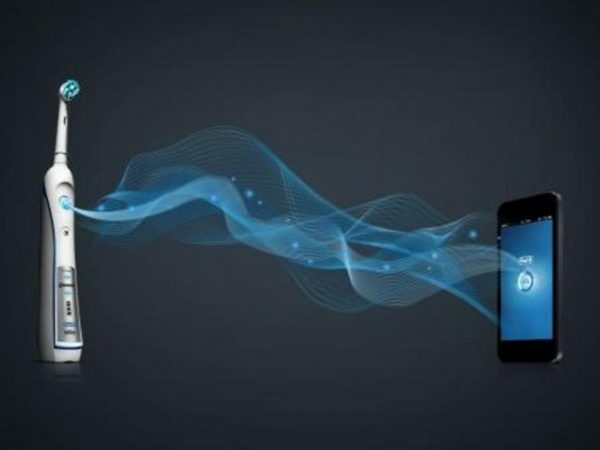 The Oral-B Smart Series electric tooth brush will be launched in the UK, it will be released on the 1st of May, 2014. Powered by Bluetooth 4.0, it boasts six customisable cleaning modes, a smart app, and an intelligent Bluetooth enabled handle. Customise & personalise their brush to their needs, including setting target session length and selecting preferred modes. Keep motivated and informed while brushing with news, weather and oral care tips. Their dental professional can also program their brushing routines in the app to help improve brushing behaviours and focus on problem zones within their mouth.